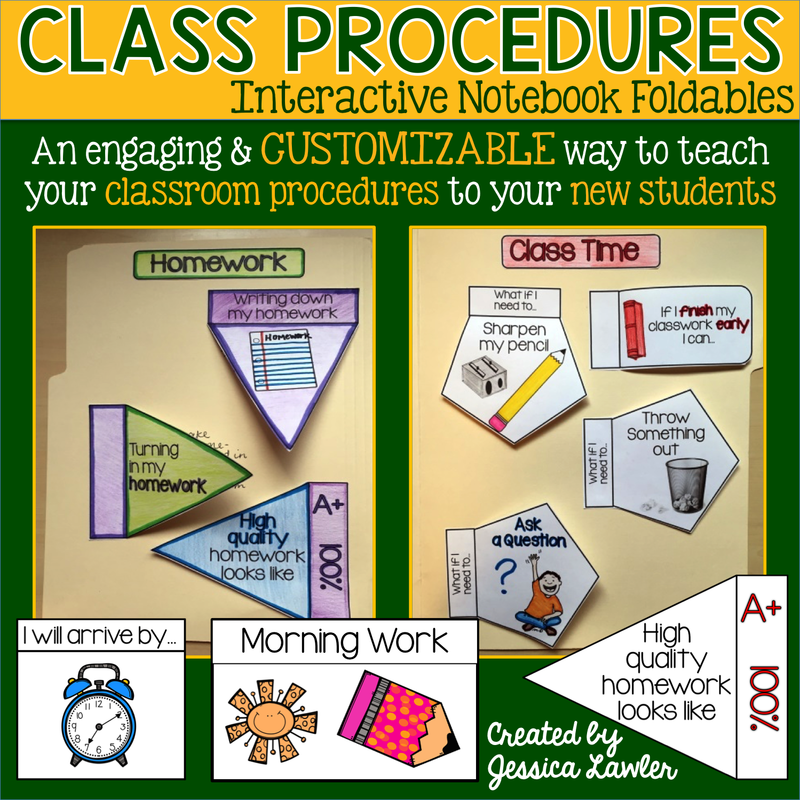 With the beginning of school looming in the not-so-distant future, I wanted to share two things I've used for the ever-important task of planning for and teaching my classroom procedures. Each year, the first week is comprised of get-to-know-you activities, simple lessons to ease the students back into the learning zone, and classroom procedures. Each day we review them, practice them, and talk about them. The first week is crucial for setting the tone in your room. As the teacher, you want to appear confident, organized, and firm-but-friendly. 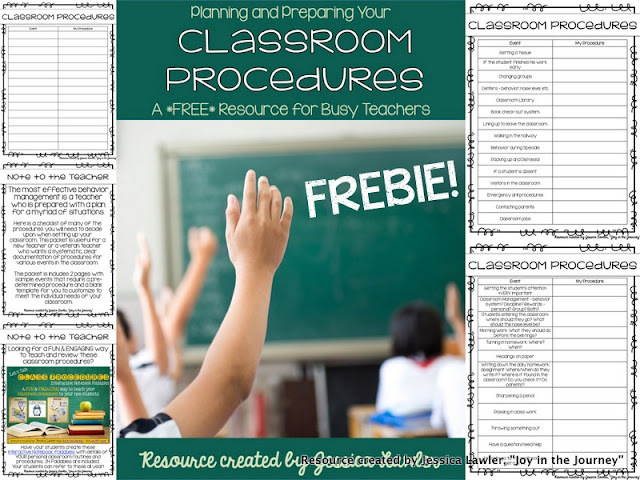 You can download this FREEBIE from my TpT store and use it to plan out how you want your students to do almost anything in the classroom. This is a FUN & ENGAGING way to go over how things run in your classroom - plus the students can refer back to them throughout the year if needed.